ON ITS WAY The NASA spacecraft OSIRIS-REx (illustrated above) is on its way to asteroid Bennu, and should arrive there in December. 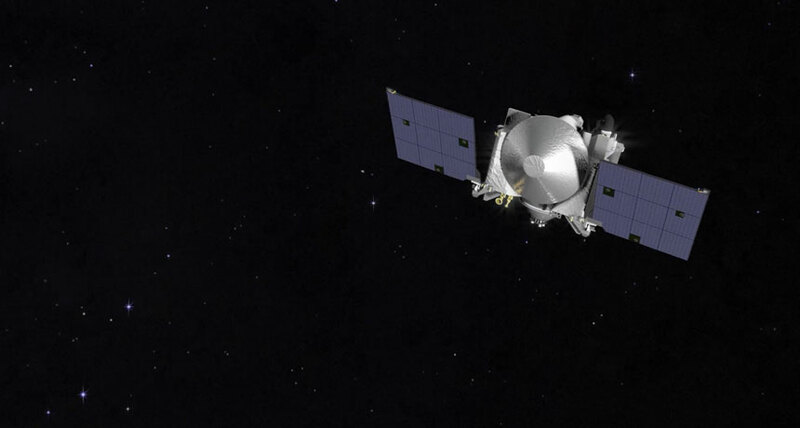 The OSIRIS-REx spacecraft has its destination in its sights. On August 17, the probe took its first images of the asteroid 101955 Bennu, marking the beginning of the spacecraft's approach after a nearly two-year space voyage. "I can't explain enough how much it meant to this team," mission principal investigator Dante Lauretta, a planetary scientist at the University of Arizona in Tucson, said August 24 in a news conference. "This is a very exciting time for OSIRIS-REx." The asteroid, just 500 meters wide (about the height of the Empire State Building), appears as a small bright dot moving against a starry background. Taking these images reassured the team that all the spacecraft's navigation systems work, and that the asteroid was where the team thought it was. OSIRIS-Rex snapped the pics from a distance of 2,186,228 kilometers, the closest-up images yet. When the asteroid was discovered in September 1999, it was 2,204,008 kilometers from Earth. Over the next five years, OSIRIS-REx will map the asteroid's surface, measure its gravity and pick up a sample of Bennu's surface dust and send it back to Earth. That sample, plus one from a separate asteroid from a Japanese mission called Hayabusa2, will help reveal details of the early solar system and the origins of life and water on Earth. Scientists also hope studying Bennu from afar and up close will help figure out what to do if an asteroid seems to be on a collision course with Earth. That's not an implausible scenario: Bennu is categorized as a potentially hazardous asteroid, and has a 1 in 2,700 chance of hitting Earth late in the 22nd century.